Prices subject to change, please call to verify current pricing and availability. 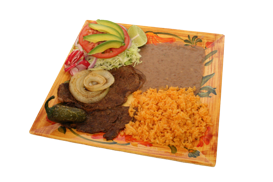 Combination Plate – With this plate, you get your choice of meat, rice, beans, a side of cabbage, cilantro, onions, guacamole, hot sauce, a slice of tomato, & a side of four corn tortillas. 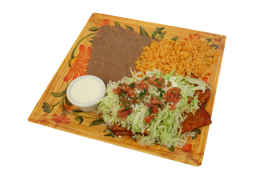 Chicken Fajita Combination – Like the original combo plate, only it has fajita-style chicken on it. 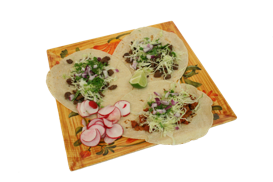 Fajita chicken burritos are also available. 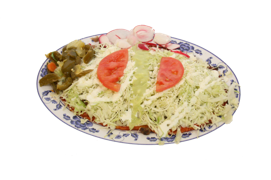 Tacos Dorados – Our tacos dorados are delicious hard-shell tacos filled with chicken, lettuce, sour cream, cheese & pico de gallo. 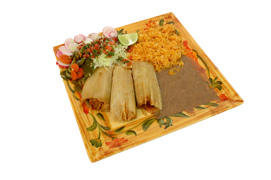 Flautas – Flautas are our crispy, deep-fried, rolled-up tacos filled with either chicken or pork. 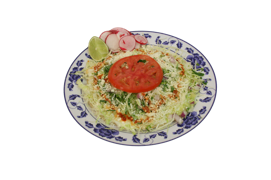 They are topped with sour cream, lettuce, cheese, & pico de gallo. 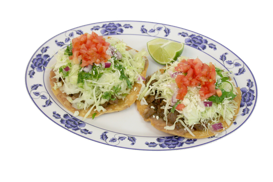 Chalupa – Another larger version of our sopes, these are smothered in melted cheese, a savory cream-based green sauce, your choice of meat, lettuce, cotija cheese & pico de gallo. 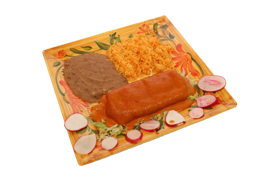 Menudo & Pozole are served on Saturdays & Sundays only. Menudo – Menudo is a delicious stew made of beef stomach & spices. 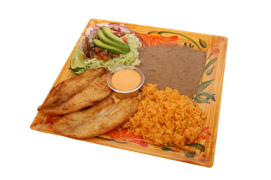 It includes a side of four tortillas, a side of oregano & chopped green peppers. 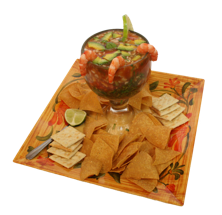 Pozole – Pozole is a stew made of hominy, pork meat, & spices. 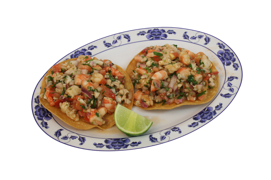 Two tostadas, chopped green peppers & a tomato salsa are included.